Educational Qualification: Candidates should possess SSC for security guard Posts, SSC (VOC) For Skilled Mechanic (Electrical, Machinist) Posts, Diploma in Mechanical engineering for Sub-assistant engineer (Mechanical), B.SC in metallurgical engineering for Assistant engineer (Metallurgical posts. Selection Process: Exam & Shortlisted candidates may be be called for interview. 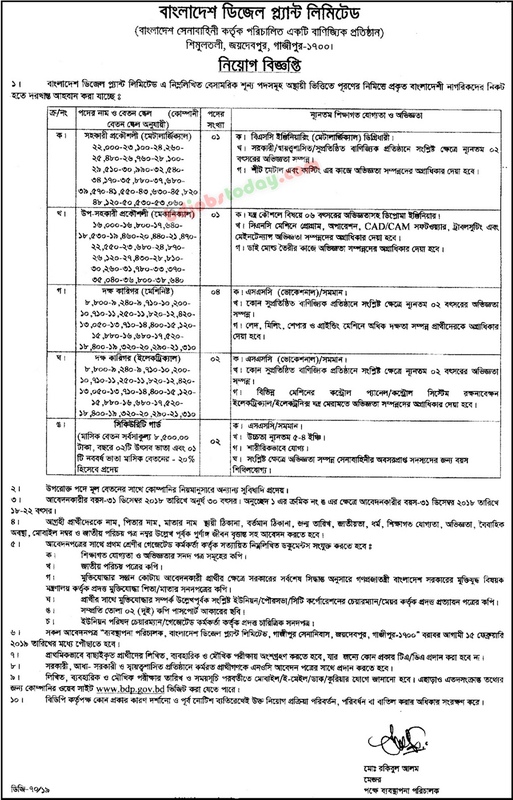 How to Apply: Eligible candidates can apply online through the website bdp.gov.bd on or before 15-2-2019. 1. Log on to “http://www.bdp.gov.bd”. 2. Select desired post & Click on “Apply Online”. Last Date to Apply Online: 15-2-2019.